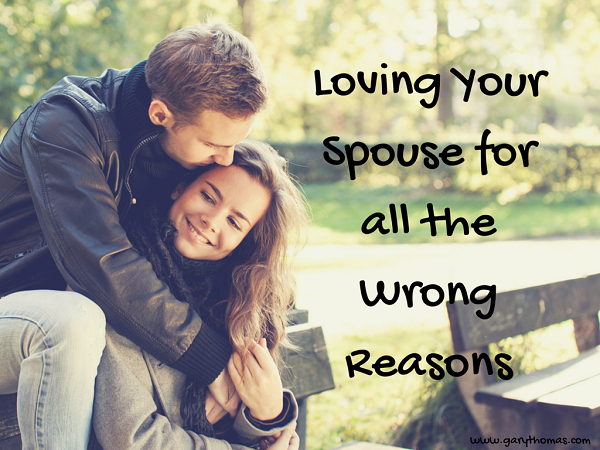 What causes you to love your spouse? That she’s such a good mom? That he’s an unusually involved father? All of these are inferior reasons and inferior loves. If you love your spouse because she is kind, you love kindness, not your spouse. If you love your spouse because he is thoughtful, you love thoughtfulness, not your spouse. True (biblical) love is found in “absolute benevolence,” which is a state of the heart that is bent toward loving someone’s highest good, regardless of their actions or character. It is a disposition to do what is best for the other person, out of the inner compulsion from the Holy Spirit, to serve this person’s best interests. You’ll remember that Christ died for us while we were yet sinners (Romans 5:8). He didn’t love us because we were obedient, kind, or thoughtful; He loved us with an absolute benevolence that will sound like a tautology: He loved us because He loves us. That’s where we should aim to arrive at in our marriages. It’s healthy and good and noble to affirm excellent qualities in a spouse, but when we love our spouse because of those things we swallow this relational poison: If I love my spouse because she’s healthy or young or beautiful or wealthy or godly or because she has given me a family, then I will be tempted to stop loving her if she grows sick or old or becomes disfigured or gets in debt or rebels against God or our family grows up and moves away. Marriage calls us to absolute benevolence. It calls us to unconditional commitment. It requires nothing less than the presence of God, the only true source of such absolute benevolence. Who, on their own, prays for those who are crucifying them? Who dies for someone who has rebelled against them? We have to get to the place where we open our hearts to God’s love that we love (please forgive the awkward phrasing) absolutely benevolently. We won’t get there by “trying harder,” but rather by going to God, receiving His love and passing it on letting Him transform us so that we love first and foremost because He first loved us (1 John 4:19). As 1 John 4:19 makes clear, I have to be loved this way before I can learn to love this way. In marriage, if I must separate from my spouse, I will do it only because it must be best for her. This is true even in the case of, say, abuse. Wives, it’s best for your husbands not to hit you so if the only way you can stop them from doing that is to remove yourselves from their presence, that’s what you do, but even that act from that disposition is absolute benevolence (though a selfish man will accuse you otherwise). This means that to find the right way to act, I look to the heart. Why am I doing what I am doing? What is truly best for my spouse? That tells me what I must do. How many divorces would be stopped if we loved with absolute benevolence? How many fights would sound ridiculous to resolve in the face of absolute benevolence? How many decisions would be made much clearer if we were driven by absolute benevolence? How much would every marriage change if we pursued absolute benevolence over our own comfort, happiness, and self- interest? How many of us, I wonder, will pursue this kind of love, this kind of marriage? Oh Gary – you always hit home with your writing. I love going back and reading over them. I know this is a past post. But I had to read it again today. It was good food for my soul! Thank you for being such a great vessel! Would you say that a woman, who has been fighting for a marriage where the man is in an adulterous relationship, could feasibly divorce him, allowing him to no longer commit adultery (although his other sins apparently seem to be willfully continuing) is an act of absolute benevolence. Wanting him to be free of at least that sin? It was a thought I had counseling her. She was his fourth wife. She didn’t divulge it to her closest friends because she had been divorced herself and single for over 20 years. 9 years later he’s gone, reverting back to his way of dealing with his baggage. I pray every day that God will give me the strength to do just this. My husband is such a special and amazing man, he deserves a wife who loves him well. 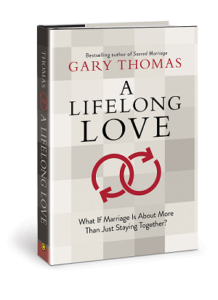 Ok, very useful and powerful insights for what loving in a marriage relationship should be. Now I know we both loved each other for all the wrong reasons and failed the test of marriage. If only I had known all these earlier, it would have worked out. Question is, why is God opening my eyes to this knowledge when even the thought of restoration appears totally impossible. Beatrice, He is revealing this to you because He wants to show you His love. I don’t know why we see things when it seems too late. I was in my fifties when I truly met Jesus. I had so many regrets. But a friend suggested I should be thankful because at least I see it and many people go to their graves living in darkness. Love it when Bible is practically implemented.